"September is my month in the Stash Trad Bee & I have totally been struggling with what block to have my group members make for me. 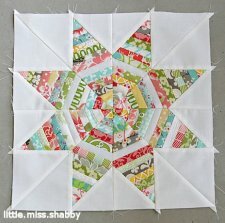 I have finally decided to go with a scrappy String Star. 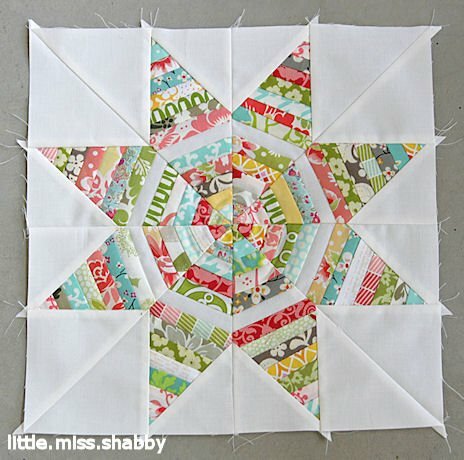 Now, I know that I have seen a tutorial for this block somewhere (I can find the 6 pointed string star–but, I really wanted the 8 pointed one) but I’ve looked high and low to no avail. So, here’s a tutorial of my own–it includes templates which I think makes things pretty easy–the one I had originally spotted did not. If anyone stumbles across the one I had originally seen–please let me know, I’d love to give credit!"